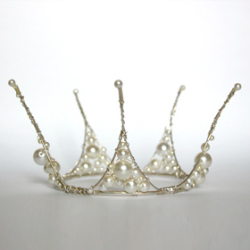 Tulle and Tiara Vintage is meant to feed every girls princess complex, we all have one! Sometimes it’s not about function or practicality; sometimes you love something just because it’s beautiful! Online shop dedicated to selling top quality mens classic & vintage clothing, suits and accessories. 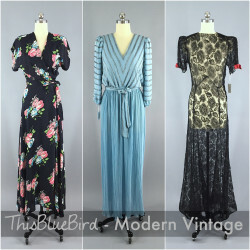 We specialize in vintage-inspired and retro fashions & accessories from the 1920's-1950's. 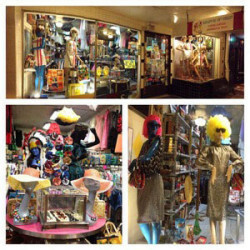 Birmingham's longest running vintage shop, specialising in men's and women's clothing from the 50s, 60s, 70s and 80s. Vagabonds Vintage is an online vintage and thrift retailer selling clothing and accessories dating from the 1960′s through to modern day with an emphasis on grunge revival. Pieces are almost always one-off making them truly unique and each item is priced. A blog with a little bit of everything: music, art, history, cinema, vintage... And all that Jazz! Retro and vintage clothing online store, where you can find the very best of vintage clothing styles for men and women in the UK. Visit My Vintage online or instore for a wide range of original vintage clothing, vintage accessories and vintage jewellery. 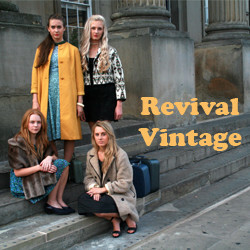 My Vintage also stock brand new vintage inspired dresses, retro clothing and accessories. Connecting you to vintage style clothing online from 199to 1960s both women and men. The most lovely online store with vintage inspired clothing. We are specialised in retro dresses and sell brands like: Lindy Bop, Collectif Clothing and Miss Candyfloss. 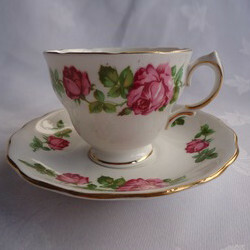 Online vintage and antique gifts including jewellery, ceramics, glass, clocks, watches, kitchenware, mirrors, toys, cake stands, clothing. Vintage Instincts is an original street culture brand specializing in incorporating authentic vintage fabrics and patches into modern designs. A little bit of vintage EVERYTHING! 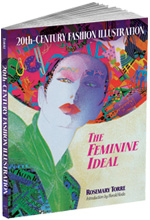 The best in fashion regardless of the year! An eclectic mixture of hand picked vintage clothes, accessories and jewellery for men and women. Vintage clothing, accessories and accoutrements for men and women. Monthly vintage and flea market in Castle Cary, Somerset. 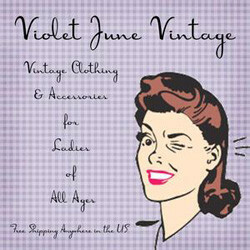 VintageClothin.com is a vintage clothing store and vintage shop, we buy and sell vintage clothing, vintage apparel and vintage accessories from the early 1900's through 1990's shop VintageClothin.com for all your vintage fashion needs. 6000 items! 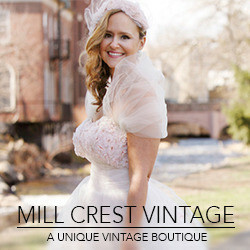 Shop for terrific vintage clothing, including dresses, wedding gowns, jewelry, handbags & more. Vintage men's & children's clothes too! Online since 1997. USA site shipping worldwide. 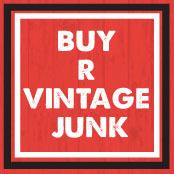 Women's, Men's & Kids' vintage clothing, accessories and homeware from the 1950s -1980s.